Bietti, L.M. & Baker, M.J. (2016). Collaborating to remember collaborative design: An exploratory study. Memory Studies, 1-19. DOI: 10.1177/1750698016683438. Abstract: We examine the ways in which members of a small group coordinate their memories, bodies and language in a functional and goal-oriented manner when they are co-designing their dream house and then collaborative remembering that previous interactive encounter. Our analyses show the following: (1) participants structured collaborative design and collaborative remembering sessions in different ways (e.g. 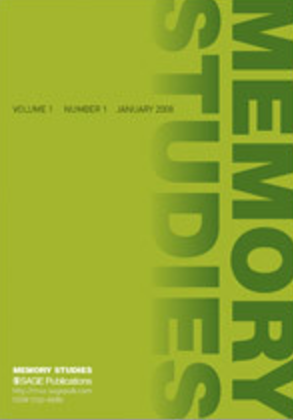 linear and sequential vs iterative and hierarchically structured, respectively); (2) higher degrees of knowledge building were temporally synchronized with higher degrees of interactivity during both tasks; (3) collaborative remembering did not only follow the spatial structure of successive elements of the dream-house design session, but it was also proceeded by associations between semantic elements of the discourse; and (4) participants collaboratively remember better what initially generated most joint activity during collaborative design. This research thus contributes to understanding of collaborative remembering processes with respect to a knowledge-rich collaborative task.